Giuseppe Arcimboldo was a painter of the late Italian Renaissance who lived from 1526 to 1593. He was known for his imaginative portraits made up entirely of objects: fruits, vegetables, flowers, fish or books. His most famous painting is Vertumnus, a portrait of the Holy Roman Emperor Rudolf II imagined as the Roman god of metamorphoses in nature and life. The fruits and vegetables symbolize the abundance of the Golden Age that had returned under Rudolf’s rule. 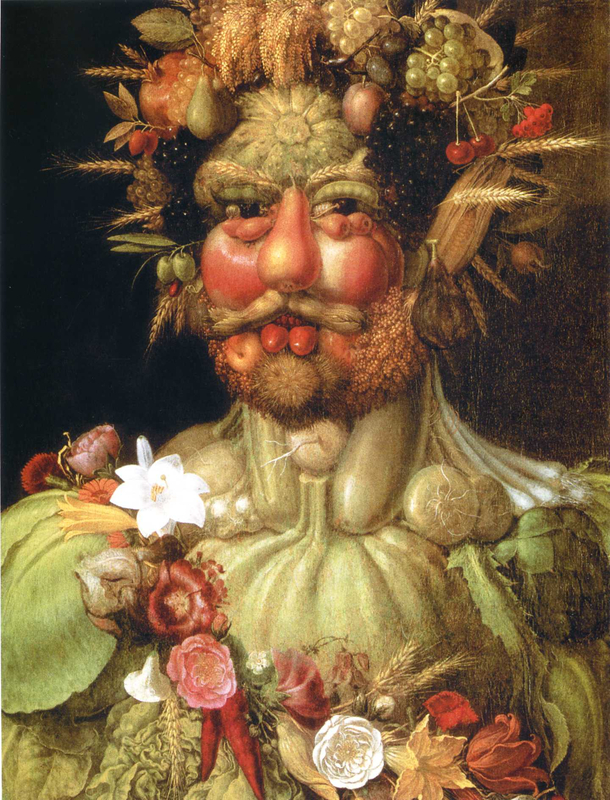 Posted in Uncategorized and tagged Giuseppe Arcimboldo, Rudolf II, Vertumnus. Bookmark the permalink.